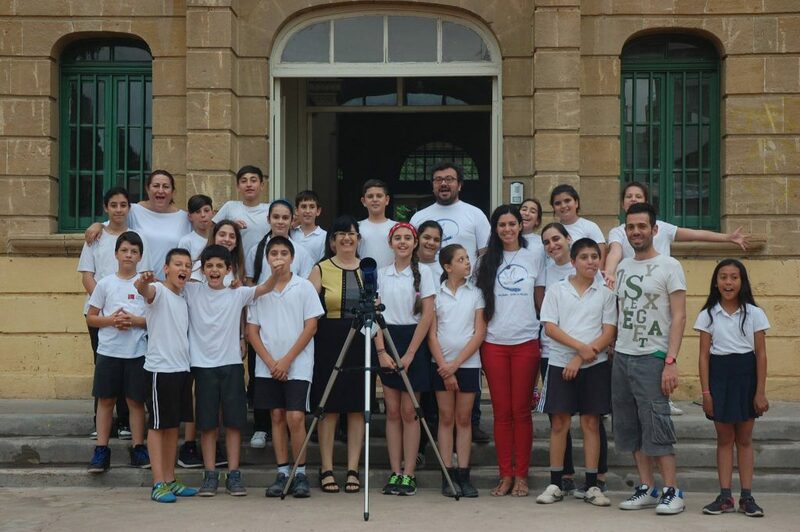 Columba Hypatia is a OAD funded project used astronomy as a tool for promoting meaningful communication and a culture of peace and non-violence between the various communities living on the divided island of Cyprus. The island has been in a post-conflict environment for over 40 years, with its two main ethnic communities, the Greek-Cypriots and Turkish-Cypriots living physically separated in the south and north of the island. Up until 2003, when the borders were partially reopened, the two communities lived isolated from each other. Since the reopening, there have been increased efforts to improve cooperation and reduce tension between Greek and Turkish Cypriots. One of these efforts was the Columba-Hypatia project, organized by GalileoMobile and the Association for Historical Dialogue and Research (AHDR), with the support of the OAD. It was named after the constellation Columba, the dove which is the symbol of peace. The project brought together children from schools on both sides of the island for several days of astronomy activities. The activities took place at the Home for Cooperation in Nicosia – a community centre at the heart of the UN buffer zone between the north and south of the island. The project leader, Dr Fransceca Fragkoudi, grew up on Cyprus and witnessed the division first-hand. She learnt about GalileoMobile during her PhD and joined the OAD-supported Constellation project in South America in 2014. During her time in Peru, she saw how astronomy could bring people from different backgrounds together. The experience led to the idea of using astronomy as a tool for communication and connection, to bridge the gap between the two communities on the island. The activities ranged from discussions on recent discoveries, to games and challenges. The children learnt about the scale of the universe by building a model of the solar system, to gain perspective on how small the Earth is and how much unites them. They were also split into groups and challenged to build a “Cypriot Golden Record”, like the one on the Voyager space probe (see box on next page), to represent the island as a whole. The group-work also gave the children a space to talk and interact, and to build friendships. This sense of goodwill extended to the adults involved. Teachers from both sides spoke about collaborating and are eager for future events. There are already plans in place for a follow-up project called Columba-Herschel. The above text was written by Munira Hoosain for the OAD Projects Booklet. Columba Hypatia is one of more than 120 projects funded by the OAD globally since 2013.